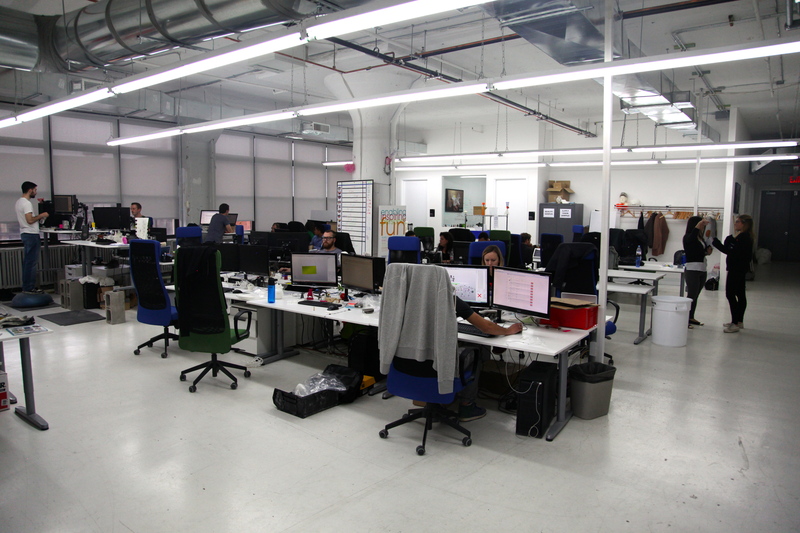 Twenty hours a day, seven days a week, 13 3D printers — whose combined value reaches well into the millions of dollars — chug along at the Shapeways factory in Queens, New York. Since its founding in 2007, the company has grown into a go-to resource for people to 3D print their high-quality or everyday objects. 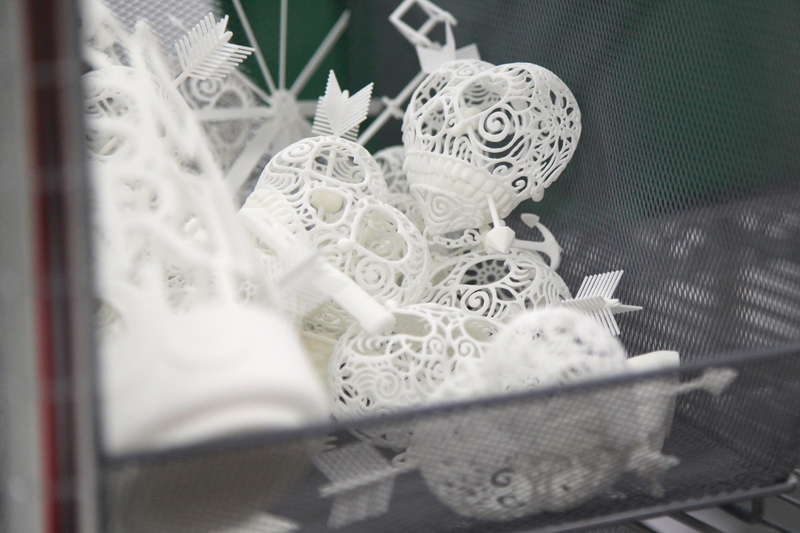 I had the chance last week to step inside the factory, where printers turn out hundreds of objects a day. (Check out my interview with Shapeways CEO Peter Weijmarshausen here.) Then those objects are finished, packaged and sent out to people all over the world. Each order begins as a digital file. 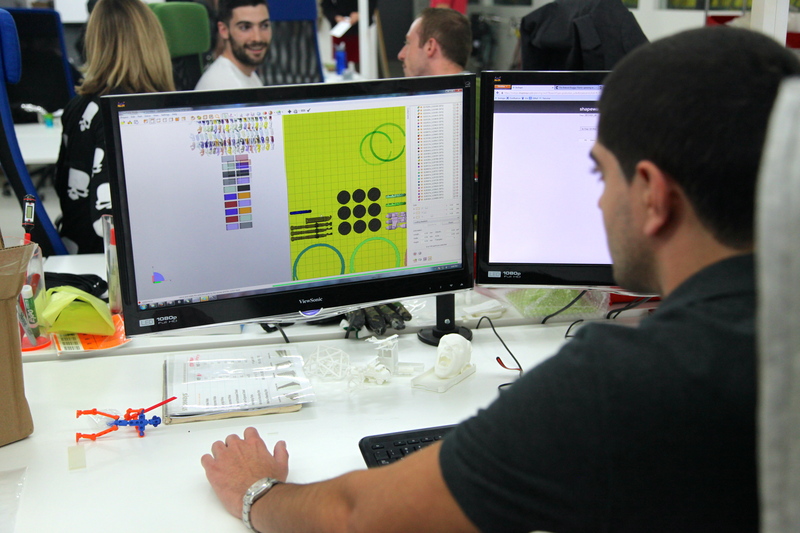 Shapeways workers go over each file and determine if it is possible to 3D print the design. 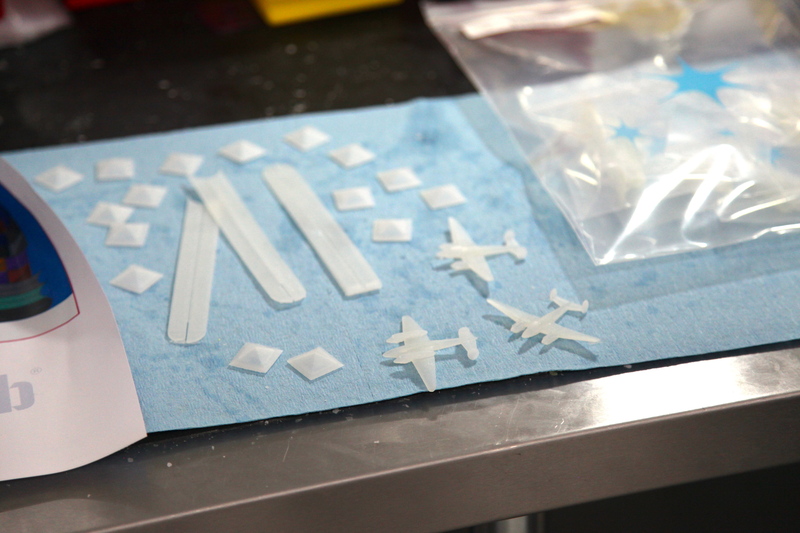 Then, objects are assigned to a print batch. 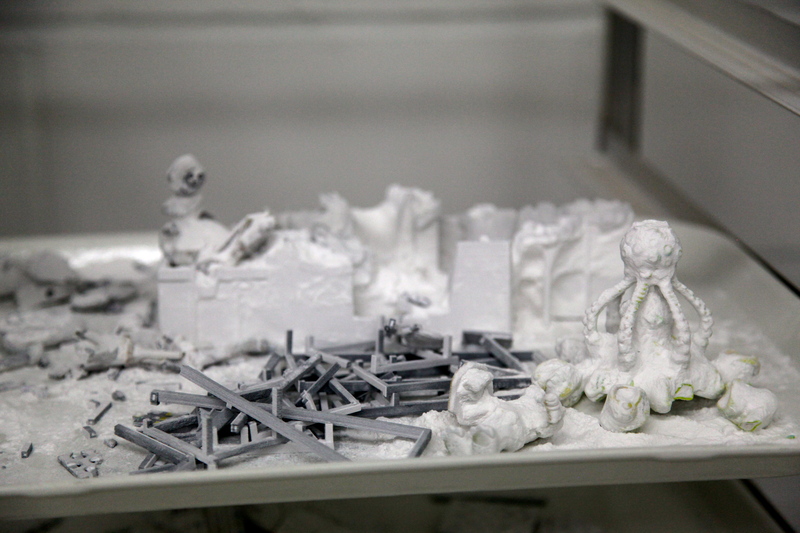 A worker organizes them into either a flat surface or a stacked cube, depending on the 3D printer in which they will be printed. Then the print batch is sent to a printer. 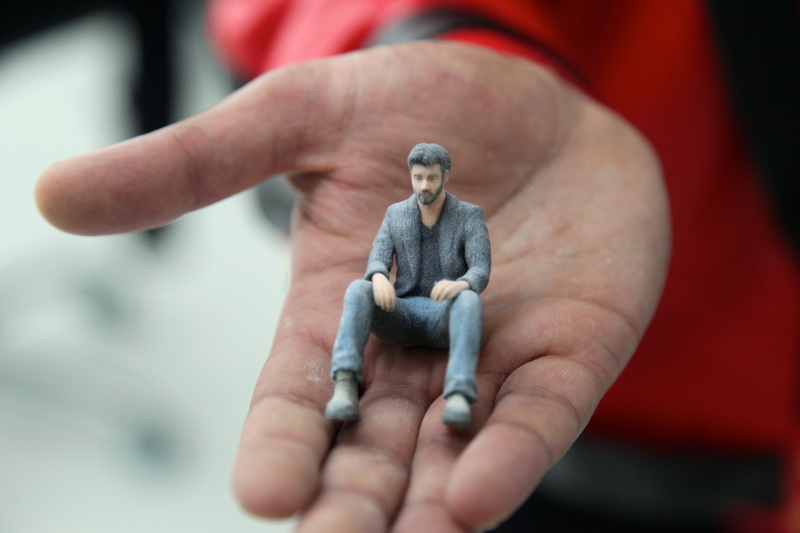 Shapeways has a range of printer sizes, from big to really, really big. 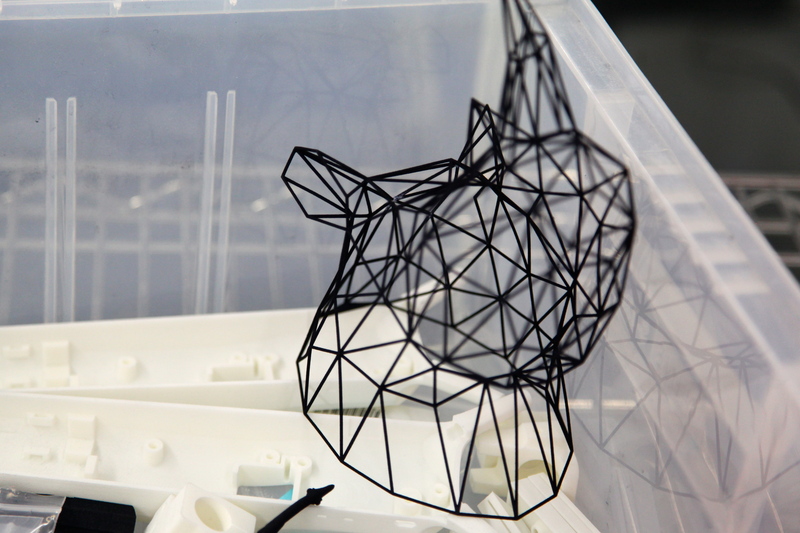 They cover the full spectrum of 3D printer technologies and can build objects out of materials like metal, plastic and ceramics. 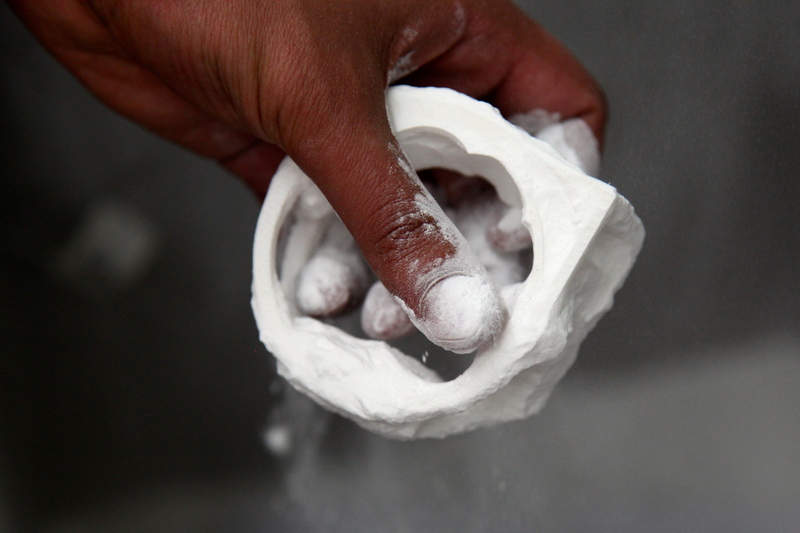 Shapeways’ most famous objects come out of its selective laser sintering printers. 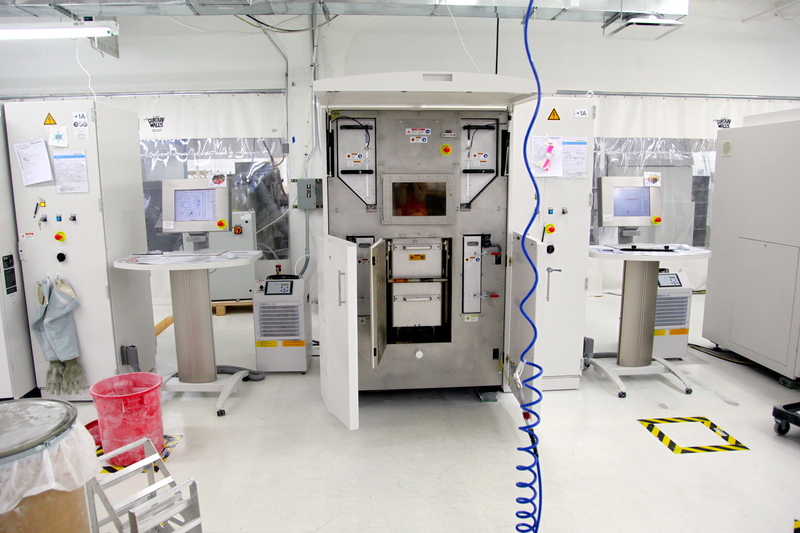 Each printer has a canister in its belly that goes in filled with white powder and comes out filled with a group of objects a laser created by melding powder particles together. 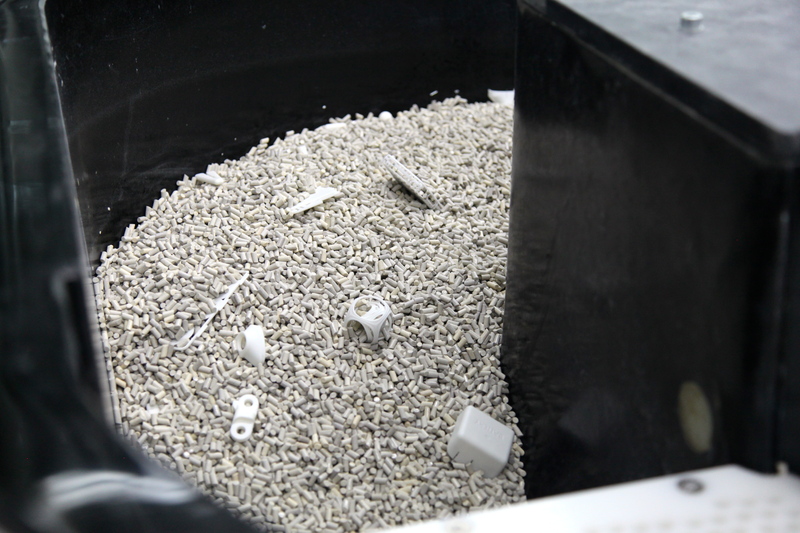 The canisters cool and then workers remove each object, washing away the excess powder. 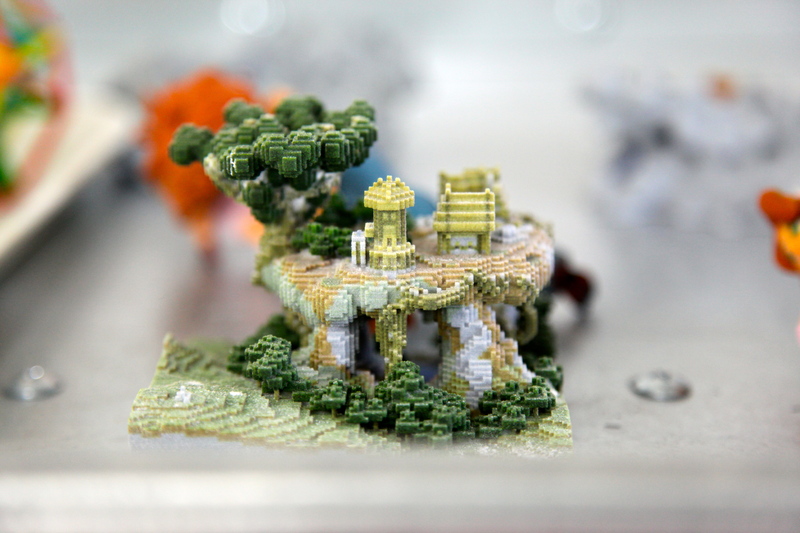 One printer can create sandstone objects in full color. They’re highly brittle. In one corner of the sandstone printing room, a graveyard of broken figures collects each day. 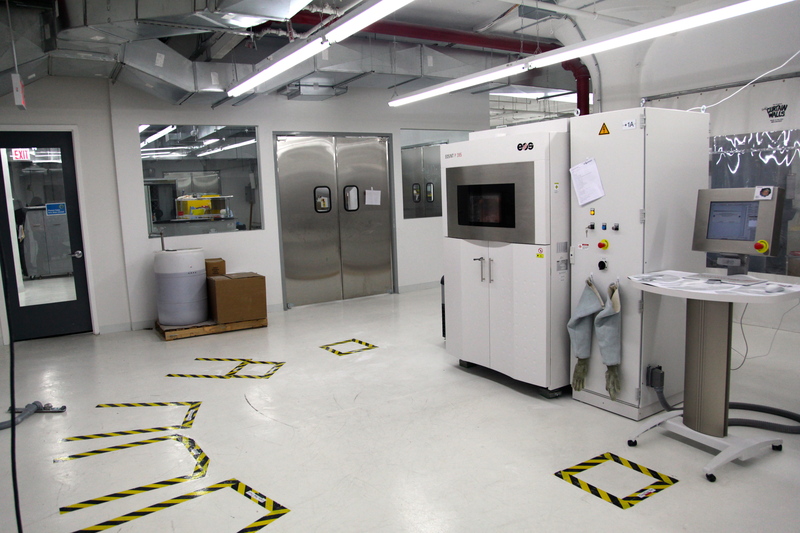 Some plastic objects require polishing after they are printed. They are tossed into a slowly spinning machine filled with pellets that grind the surface of each object surface until it shines. Other plastic objects wait in bins before and after being dyed. Then they are packaged and shipped to their new homes around the world.